So Did Rajon Rondo Break His Hand At A Trampoline Park Or Not? The controversy over just how Rajon Rondo broke his hand, which should be nicknamed "TrampGate" but probably won't be, has entered its fourth day. And on Day 4, as these things usually go, the trampoline park manager has spoken. It certainly didn't help that a photo emerged of Rondo, also on Thursday, at an indoor trampoline park in the Boston suburbs. The Celtics were quick to announce that they believed Rondo's account—a little too quick, if you're of a suspicious bent. A star player, who seems perpetually at odds with his coaches and management, suffers a big injury the same day he visits "one of the largest indoor trampoline parks in the state...with 15,000 square feet of interconnected wall to wall trampolines and attractions?" A fine coincidence. "In regards to Rajon Rondo's visit to Altitude in Billerica on Thursday the only comment we have is that he was here with his children and his children were the only members of his party that enjoyed jumping, climbing and our battle beam pit. He did not attract much attention as he only sat on a couch and watched his children enjoy our park's activities. He appreciated our professional staff and allowed a few pictures to be taken. He left with no injuries or incident." The day of the trampoline park visit matters—the various park employees say it was Thursday, the day Rondo ostensibly injured himself, while the Celtics front office initially claimed they were told Rondo had gone on Tuesday. 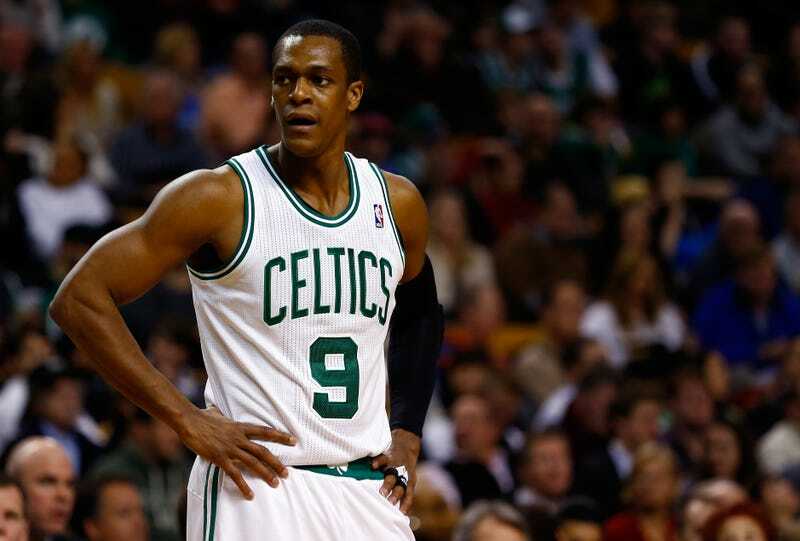 I do not know where Rajon Rondo broke his hand. I only know that trampoline parks seem designed to maim but also all the floors and walls are trampolines, so it's sort of a wash.
Rondo will need six to eight weeks of recovery before he can go back on the trampolines.